In process. I'm gonna post the steps as completed. First rinse 24 New Mexico red chile pods. Remove all seeds and stems. I place rinsed pods in a cookie sheet. Prep this list of ingredients. 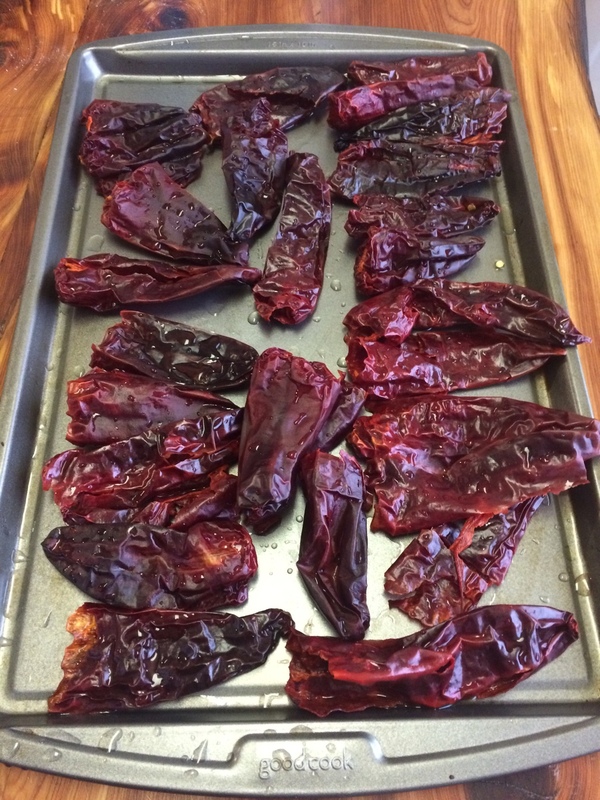 Throw sheet of chile pods in oven for a few minutes to give them a nice roast. Pull the chiles from oven and place into a stock pot. Pour boiling water over chile pods. Continue to boil until tender. Strain water from pods. (Keep water). Place chile pods in the blendtec or whatever you have. Pulse for a bit. Add water to the consistency you like. Add above ingredients and bring to bubble. Cube a couple pounds of meat of your choice. 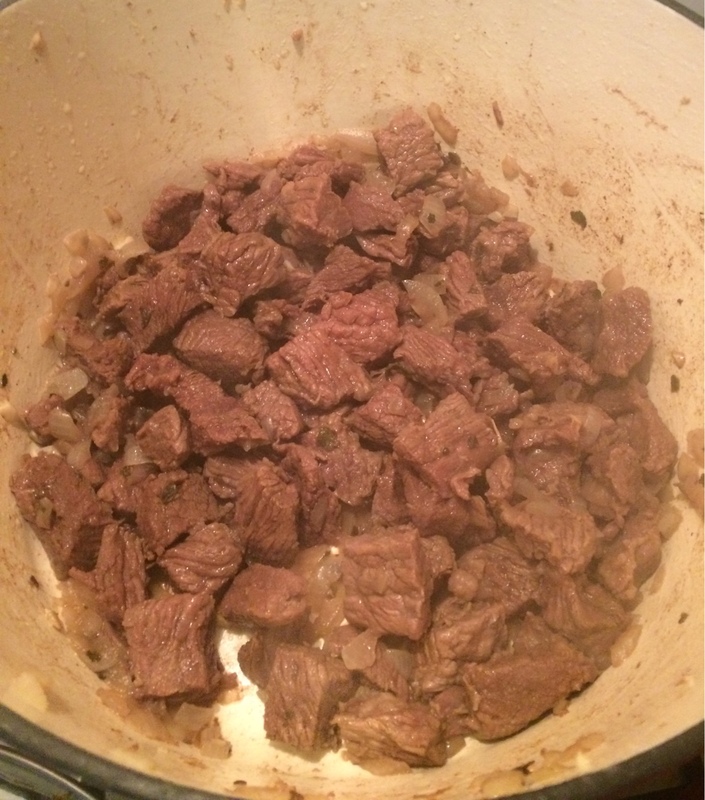 I'm using chuck roast. Last edited by ladrones; 12-14-2016 at 05:36 PM. Once meat is brown add the blue corn meal. 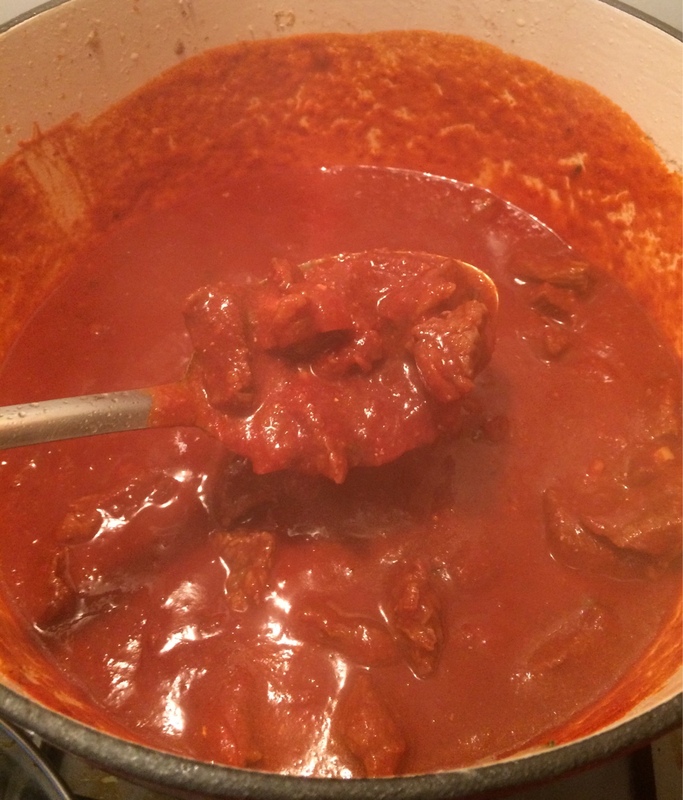 Then pour your red chile gravy over meat and bring meat and sauce to a simmer. 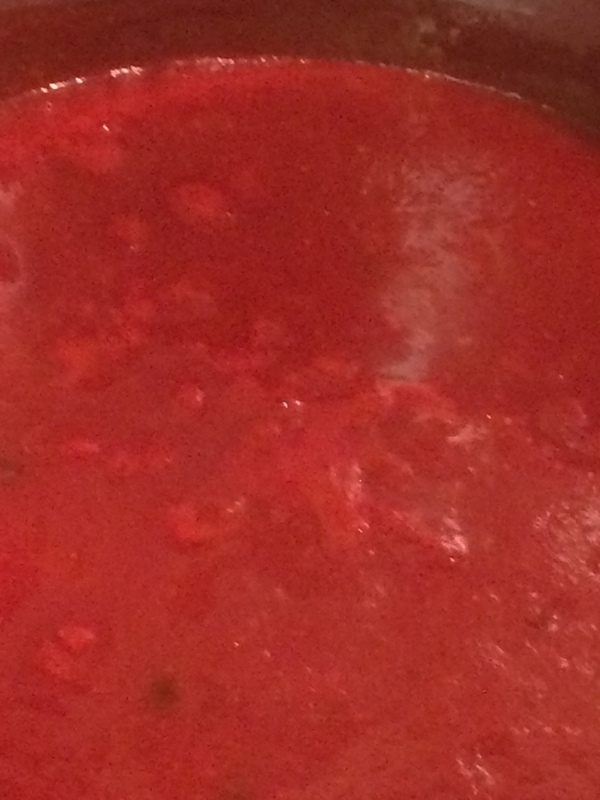 Let simmer for about 30-45 minutes at a reduced heat. Meat should be nice and tender when done. Heat some oil for corn tortillas. Pat the grease off of tortilla. Stack one add chile gravy and meat mixture. Put a small amount of chees at each level. 3 level stack. Garnish with lettuce tomato and onion. Place fried egg on top and serve. Oh my, that looks delicious. I will be giving that a try. I was raised on these enchiladas. Can't always get my hands on the big jim pods so I have to settle for the powder. 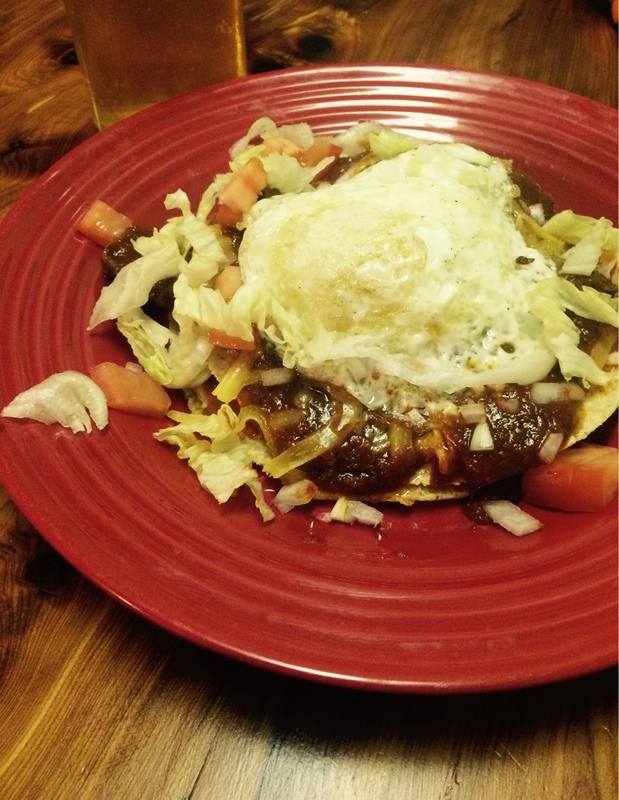 But aint nothing in the world like thses New Mexico enchiladas with a fried egg on top. Don't get any on your forehead cause your tongue will beat you to death tryin to get at it. Great post ladrones! 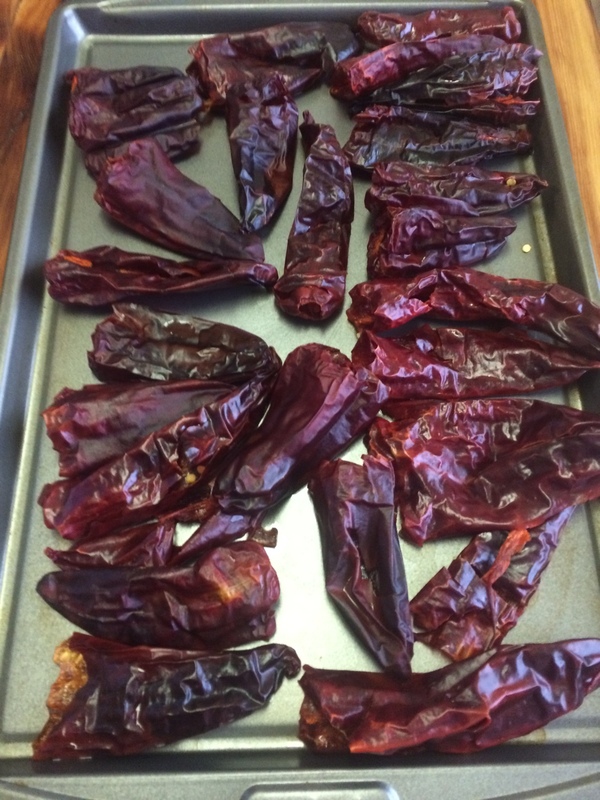 I've made red chile a couple of times since moving here, and I HATE straining it. Took me forever. Maybe I just didn't let it run long enough in the food processor. The blendtec does a good job. Powder is faster and much easier. Thanks. I keep red chile gravy for everything. Powder is almost as good especially if you can get NM grown powders. New Mexico Chile is the only powder I use. I typically blend a hot and mild together. Looks really good! You lost me at the fried egg though. It's optional. Not everyone likes fried eggs. I would destroy that! I love stacked enchiladas with a fried egg. Hunt In: Washington & Cherokee Co. Isn't that a breakfast chalupa? I'm not familiar with chalupas. Maybe you can post a recipe for that? You have posted the exact same thing five times already. What's the point?